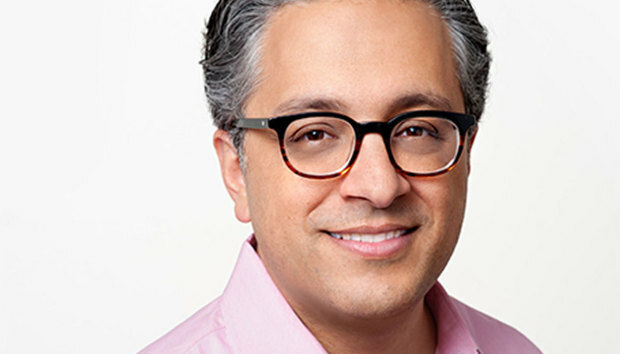 Tariq Shaukat doesn’t have the typical background you’d expect from someone leading the sales and professional services division at Google’s Cloud. Before becoming president of customers, Shaukat was chief commercial officer for Caesar’s Entertainment, the vast hotel and casino chain. As Google is attempting to court enterprise clients, Shaukat is bringing a customer-centric view to the business. And by the way, he’s no tech novice: He’s got undergraduate and graduate degrees from MIT and another graduate degree from Stanford. Analysts who track the IaaS cloud computing market give Google high marks for innovation and infrastructure backbone. But in last year’s Magic Quadrant, Gartner noted that Google was in the “rudimentary stages” of interacting with enterprise clients. The hiring of VMware co-founder Diane Greene in early 2016 was seen as a turning point for Google being serious about pursuing the enterprise market. Shaukat is continuing that work. In a market dominated by Amazon Web Services and Microsoft Azure, how will Google reach out to enterprise clients? That’s Shaukat’s job. Let’s start with a level-set question: What are the most popular products that are under the umbrella of the Google Cloud? Within Google Cloud, we have a couple broad categories of products. One is our G Suite, which we’ve seen a lot of traction with; this was formerly Google Apps for Work. We’ve seen a lot of interest in our collaboration suite, which includes email, Docs, Drive, Sheets and Slides. We’re also seeing a lot of uptake on the Hangouts product that’s baked into that. On the Google Cloud Platform side, which is the other big area underneath Google Cloud, there are a couple of different types of customers and so the popularity of the products varies depending on the user. There’s a large number of customers really interested in Google App Engine, which is our product that allows you to create mobile or other types of apps and leave the operation of them to us, allowing you to focus on the customer-facing innovations. Google Compute Engine is our virtual machines as a service. We’re also seeing a lot of traction in our data analytics platform, which is everything from our ingest products like Cloud Pub/Sub to BigQuery and Spanner, which we announced recently. Machine learning is another area we’re seeing a lot of customer interest. Is there overlap between the Google Cloud Platform IaaS and the G Suite SaaS? Do you offer any bundling incentives for customers to use both? Yes to both. A lot of this is a question of relationships and who are you comfortable doing business with. We find a lot of G Suite customers reach out to us to talk about what they can be doing in GCP for storage or big data analytics, so there’s an increasing amount of synergy between the two. I recently combined the sales teams across those products so it’s now a single person who is working with you on G Suite and GCP, as opposed to two separate teams. It’s started to really facilitate these conversations. A lot of the ways we’re ensuring people get the best of both worlds is through product integrations. In BigQuery (Enterprise Cloud Data Warehouse), you can use Sheets as a way to export analysis to visualize information and make it more digestible for a business user. We just launched our enterprise plan for G Suite, which has Gmail logs that can be exported to BigQuery to do analysis on those. So it varies customer to customer, but we’re willing to take into account the relationship we have with customers as we think about how to facilitate them moving into GCP or G Suite. How did your work as chief commercial officer for Caesars Entertainment help prepare you for your current job? The best way to think about my last role was overseeing IT, analytics, marketing, sales and entertainment for a diversified business that had casinos, live entertainment, hotels and restaurants. The common thread among all of that is a massive amount of compute and big data analytics that powers it and an increasing focus on digital transformation and engagement of customers. I really got a first hand view of different cloud providers, big data platforms and machine learning technology as a fairly sophisticated user of those platforms. So coming over to Google, in my role a lot of what I do is spend time with customers to figure out how they can create value and how they can replicate some of the successes we had in my last role around profit improvement, operating efficiencies and creating new lines of business. Gartner in its 2016 Magic Quadrant for IaaS public cloud said that Google was in the “rudimentary stages” of interacting with enterprise clients. Do you think that’s a fair assessment? I don’t. I think there is some education and proof points that we’ve been working on with our customers and also the analysts recently. We’ve taken a lot of steps in the past 15 months to really change the perception of how serious we are about the cloud and how much we have invested in being enterprise ready. That includes everything from greatly scaling the internal customer team – which is not just sales, but all the technical resources that are used to actually sit with the customer. If you look back over the past several years, this has been a shortcoming of what we were doing in the cloud world. We’re really doubling down and hiring really aggressively on that technical front. It includes everything from customer engineers who work both pre- and post-sales with customers, and our professional services team, customer support teams, etc. There’s been a lot of investment in how we work with customers. There’s been a lot of work on the back end to improve our contracting processes to really make sure companies doing mission critical things in the cloud feel like its easy to do business with us and that they’re in good hands. We’ve made a lot of investments like that, and we’re starting to see the results with large enterprise customers, some of which we’ll be talking about at NEXT. What are the keys to further penetrating that enterprise cloud market? On the technical side, we do very well. If you asked what is Google doing to catch up on the technology? We don’t lose a lot of deals at this point on the technology. We have a very good win rate as we are in situations that are viewed as a two or three, or four-horse race. The challenge we are really focusing on now is how do we scale the number of situations we are present in. That’s both very much a hiring question, but it’s also a partner question, so we’re spending a lot of time investing in our partner situation to make sure they’re a key part of this journey with us. What’s often underappreciated is that Google itself has a large number of feet on the ground working with large global 2000 companies on the advertising side of the business - so we’re actively working on bringing the cloud and that part of the business closer together. We have a lot of relationships with CIOs, CMOs and CEOs that we haven’t historically leveraged. What’s the big push with partners? For partners, our ecosystem is smaller than a lot of our competitors, so we’re very focused on ensuring that we’re continuing to build that network. That’s both on the technology alliances side, meaning the ISVs who want to run on Google Cloud or support Google Cloud as an option for their customers. On the go-to-market side, the system resellers, integrators and consultants like the Accentures and PWCs of the world, we’re focusing there on making sure we’re doing business with everyone our customers want us to do business with. We’re focusing on scaling that channel. Where companies often run into trouble is when they view their partners as separate from their sales team, so we’re working hard on a sell-with and service-with model, as opposed to a sell-through model. What customers are asking us to do is to show up as Google with the partner and the partner can provide leverage and scale, but fundamentally it has to be with the Google engineering and account teams. We’re working closely with our partners to make sure the integration is as seamless as possible. Another thing I’ve heard from the analyst community is that Google excels at certain use cases – particularly around big data, analytics, containers and machine learning. But other cloud platforms, say from Amazon Web Services or Microsoft Azure, are perceived to be more well rounded, so customers end up using one of those vendors as a primary provider and using Google as a secondary provider for certain use cases. Do you see that playing out in the market, and if so, what does Google need to do to become a primary provider for most of its customers? Well there’s no question that we’re proud of the strength that we’ve got in big data, analytics and machine learning and we really think it’s highly differentiated and compelling to customers. As we talk to customers, the vast majority are telling us they’re going to be multi-cloud. They may engage in initial use cases with multiple providers, but it’s really up to us and our competitors to earn our keep and demonstrate that we’re able to deliver value in a range of different areas. So I don’t see as much of the distinction you’re calling out around primary and secondary; I think there are multiple providers and over time the race will be around who’s really able to demonstrate value and capabilities that are unique in different areas. For us, one of our beachheads is absolutely data and analytics to start that journey, but I have not found many situations where that excludes us from other opportunities within a company. What advice do you have for customers who may be interested in using some of these new technologies like advanced big data analytics, containers and machine learning, but they don’t know where to start, or they don’t feel like they have time because they struggle to just “keep the lights on” in IT? That very much describes me in my last company: You have a certain set of skills and priorities that are almost always dominated by keeping the lights on and carving out the resources to do net new things is hard. So what we advise companies is to prioritize the use cases. You can try to do things in a big bang way if you’re really committed to it, but more often than not you really need to map out a journey over time. It’s important to have a path to go to the cloud – it doesn't have to be decades, it can even be years – but that will allow you to demonstrate proof points along the way. Another important piece is to really automate and leverage tools that allow you to remove the operational burden of operating your IT environment. A lot of customers use Google App Engine because they’re saying, ‘we don’t have to deal with all the operational pieces that make this run, we just want it to work.’ One of the customers we’ll have on stage at NEXT will be talking about how they basically moved all their apps into App Engine and that freed up a huge number of technical resources that they’re now redeploying on machine learning, data analytics and refactoring apps that are harder to move. Having a very thoughtful migration journey that takes into account the skills and needs of the app is really important. What about machine learning, specifically? How can customers begin to implement this technology, which I get the sense that a lot of people believe is pretty futuristic? We think it’s very much a today technology and it’s getting better and better over time. We have two different approaches to this market: There’s a lot of very sophisticated companies that have data scientists who have the beginnings of a machine learning team, so we provide Cloud ML, our managed environment for machine learning to really make that an easier process. It automates processes that don’t provide a lot of value and provides compute processing to power them. If you want to do something bespoke, we think Cloud ML is a terrific platform for doing that. On the other side, we’ve got what are essentially pre-trained models that Google has built; an example would be our translation models, image recognition models and natural language processing tools. Many of our Cloud ML services run on custom Tensor Processing Unit chips. We make these services available to any company on an API-basis. This means that if you have a large image library within your company that you want to classify and make searchable, you can use our off the shelf machine learning to basically accomplish that task, you don’t need machine learning scientists inside the company. We’ve done all the hard work and make it available for you to use. We’re trying to play on both sides because customers are in many areas across that spectrum. We’ve gotten a lot of demand for something in-between, so we’ve created something in Mountain View, and soon in other places, named the Advanced Solutions Lab, which is a co-working space where companies can send their data, analytics and business teams to sit side by side with our machine learning experts and co-develop the models that the company is interested in. We’re trying to build a training capability role and provide engineer-to-engineer connection for people who have compelling ideas in machine learning, but they just don’t know how to make it real.